If your current oscilloscope is no longer serviced or is subject to high service prices, or if your oscilloscope doesn’t have enough memory, it is time for a new oscilloscope. 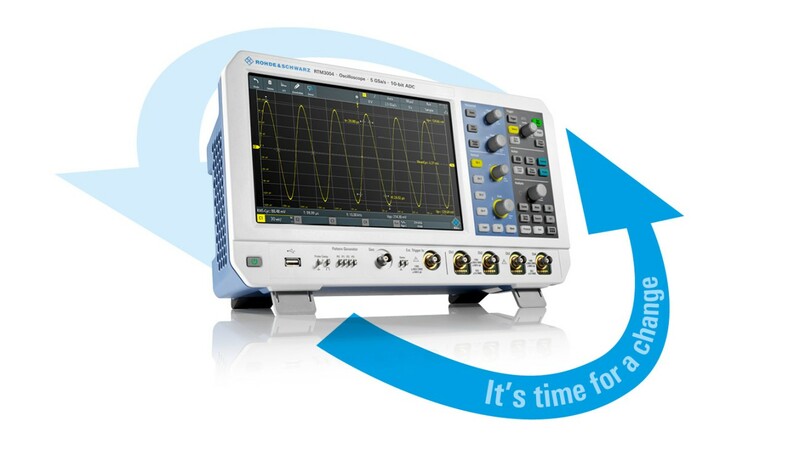 How do you get the Rohde & Schwarz 30 % trade-in promotion? The 30 % discount* only applies to the purchase of a new R&S®RTM3000 and/or R&S®RTA4000 oscilloscope with a bandwidth of at least 350 MHz (required upgrade) and only when one of the instruments listed below is traded in at the time of purchase. Your Rohde & Schwarz subsidiary or authorized channel partner can provide you with further details. Valid worldwide from July 01, 2018 to June 30, 2019. *The 30 % discount applies to the base unit and available bandwidth upgrades. Further hardware and software options are excluded from the discount. This promotion cannot be combined with other promotions.